Drilling products or drill presses are one of the most common machines found in the machine store. A drill product is a machine that turns and advances a rotary tool into a workpiece. The drill product is used primarily for drilling holes, but when used with the proper tooling, it can be used for different machining operations. The commonest machine operation done by drill products are drilling, reaming, tapping, counterboring, countersinking, and spot facing. There are several drilling products in the market, each is divided into different categories based on their specific uses. In this article, we will take a look at the various drilling products and their uses. The upright sensitive drill press: this is the first drill product on my list. It is a light-duty type of drilling product that normally use a belt drive spindle head. This drilling product is generally used for moderate-to-light duty work. The upright sensitive drill press is giving such name because its name of the fact that the machine can only be hand fed. Hand feeding the tool into the workpiece makes the operator to perceive the cutting action of the drilling product. 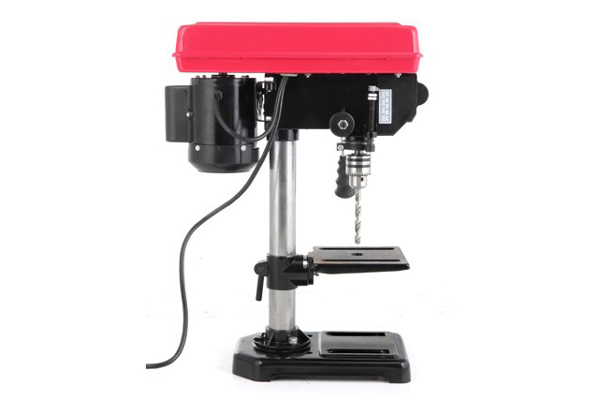 The sensitive drill press is manufactured in two different styles; the floor style or the bench style. The upright drill press: this is another drill product that performs remarkable work. It is a heavy-duty type of drilling product incorporating a geared drive spindle head. This type of drilling product is majorly used on large hole-producing operations that typically need larger or heavier parts. The upright drill press allows the operator to either hand feed or power feed the tool into the workpiece. The power feed mechanism is an automatic mechanism that automatically advances the tool into the workpiece. Some types of upright drill presses are also produced with automatic table-raising mechanisms. The radial arm drill press: this is the drill product specifically use in producing holes. The drill product is commonly referred to as a radial drill press. The radial arm drill press makes the operator to position the spindle directly over the workpiece instead of moving the workpiece to the tool. The design of the radial drill press provides it with a great deal of versatility, especially on parts too large to position easily. Radial drills provide power feed on the spindle, as well as an automatic mechanism to raise or lower the radial arm. The wheel head, which is located on the radial arm, can also be traversed along the arm, giving the machine added ease of use as well as versatility. Radial arm drill presses can be equipped with a trunnion table or tilting table. This gives the operator the ability to drill intersecting or angular holes in one setup. The gang style drilling machine performs several work heads when positioned over a single table. This drill press is used when successive operations need to be performed. For example, the first head may be used to spot drill while the second head may be used to tap drill. The third head on the other hand may be used, along with a tapping head, to tap the hole.